Declan's Finnian, Cuchulainn, is a collector's item that was originally introduced in 1994. 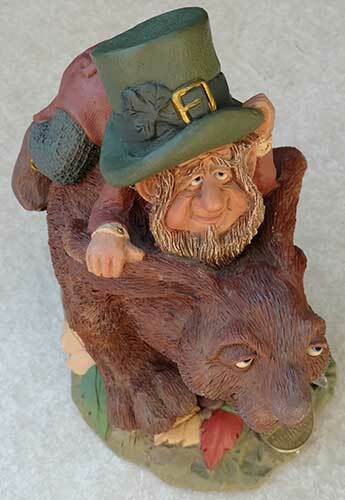 This Irish figurine is limited to remaining stock. 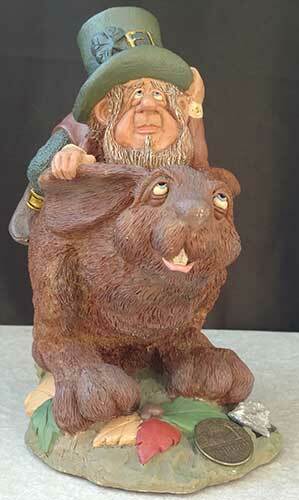 This Irish figurine is named Cuchulainn; he one of Declan's Finnians, the Guardians of the Blarney Stone. 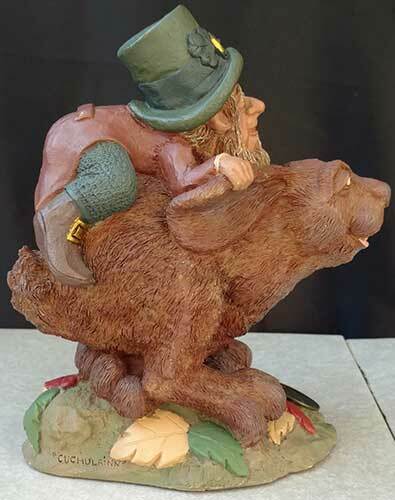 Cuchulainn is leprechaun who is riding a rabbit; he features a green top hat that is enhanced with an embossed shamrock. The Irish figurine also features a stone from the same quarry that was sourced to build Blarney Castle. 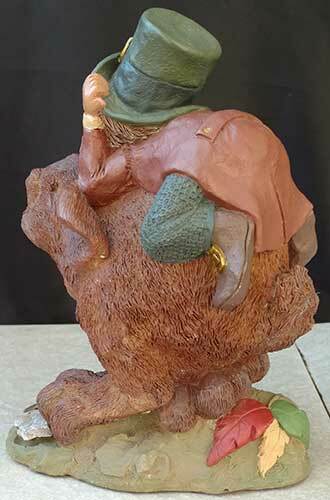 This leprechaun figurine is made of hand painted resin and measures 4" wide x 5 1/2" long x 7 1/4" tall. Cuchulainn is a numbered edition that is signed by the artist, Declan Fearon. The Finnian figurine is gift boxed with a shamrock history card, complements of The Irish Gift House.